IRCTC seat berth availability is important to save your time get a reservation quickly on the available train. If you start booking seat without checking berth availability then it may result in a waiting list reservation. Therefore always check seat availability in train before booking train tickets. We can also check IRCTC seat availability Tatkal quota and fare of the journey. Knowing the fare is important and helpful to estimate the journey cost before booking ticket. And if seats are not available in a train under general quota then we can check it under Tatkal quota. 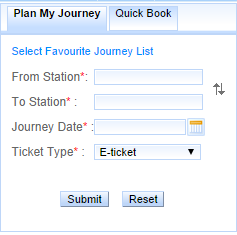 It will help you to decide whether to book a general ticket or Tatkal ticket. The fare of Tatkal booking is also provided while seat availability checking. Follow these steps to check berth availability through IRCTC website. Open IRCTC website www.irctc.co.in in your browser. Now login to your IRCTC account. You need an account to operate this website. On the successful login to your account, the 'Plan my journey' page will be presented to you. Now provide your start city and destination city to find the connecting trains. Provide your date of journey and press submit button. A list of trains between the two stations will be present in Journey Planner to you. Click your class of the journey to find the available berth in that class. You can also select different quota like Tatkal to find seat availability under that quota. You are done successfully with IRCTC seat availability. Follow these steps to check berth availability through Indian Railways website. Open Indian Railways website http://www.indianrail.gov.in/ in your web browser. Click on 'Train Berth Availability' option in the services section. Trains/Fare/Accommodation Availability Between Stations page will be presented. Now select your start city and destination city. Then choose the class of journey and date of journey. You can filter your search by providing the departure and arrival time of the trains. 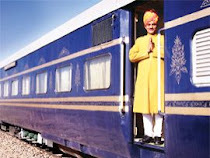 You can also select type of train like Shatabdi or Rajdhani etc. IRCTC seat availability is hot exercise during morning and evening when people left the office for home. Click on get details to get the list of trains available according to your enquiry. Select your train to check the seat availability on that train. And click on 'Get Fare' to find the fare in the selected train. You are done with Indian Railways seat availability. IRCTC seat availability enquiry is mostly done during morning and in the evening when people leave office to go to their homes.